And Yet They Deny: Peekaboo; Eye See YOU!! - John & Carole E. Barrowman - "Hollow Earth"
Peekaboo; Eye See YOU!! 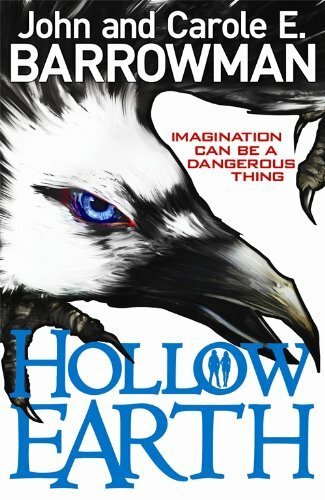 - John & Carole E. Barrowman - "Hollow Earth"
"Lots of twins have a special connection - being able to finish each other's sentences; sensing what the other is thinking; perhaps even knowing when the other is in trouble or in pain - but for 12-year-old twins, Matt and Emily Calder, the connection is beyond special. Together, the twins have extraordinary powers. They are able to bring art to life, or enter paintings at will. Their abilities are sought by villains trying to access the terrors of Hollow Earth - a place where all the demons, devils and creatures ever imagined lie trapped for eternity. The twins flee with their mother to the security of an island, off the west coast of Scotland, where their grandfather has certain protective powers of his own. But too much is at stake, and the twins aren't safe there either. The villains will stop at nothing to find Hollow Earth and harness the powers within..."